While many people visit Florida for their beaches, there is plenty more on offer from the ‘Sunshine State’ than first meets the eye. Once you are bored of all the white sand and blue waters, what do you do? Luckily, Florida has plenty of green for you to enjoy too… We’re talking about the gardens, of course! With lush landscapes aplenty, Florida is the kind of place that is perfect to unwind, surrounded by nature. We have rounded up our favorite gardens to visit, the next time you’re visiting the Sunshine State. The mission of Morikami Museum and Japanese Gardens is to give guests an insight into Japanese cultural experiences – and they certainly do that! Situated in Delray Beach, this beautiful museum and gardens will transport you to Japan, with their musical events, exhibitions, Japanese architecture, and, of course, beautiful greenery. Morikami Museum and Japanese Gardens is open Tuesday-Sunday from 10 am until 5 pm, but are closed on Mondays and major holidays. 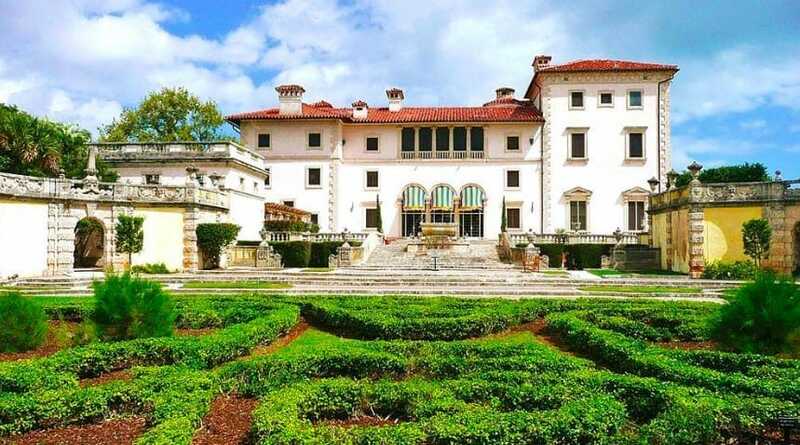 What is simply so impressive about the Vizcaya Museum and Gardens is the jaw-dropping villa in the heart of Florida, which plays home to the museum part of the attraction. The gardens are all European-inspired, to match the continental style villa in the heart of it. One of the best times to visit Vizcaya Museum and Gardens is during the evening, when they are open, for their Gardens by Moonlight event. This is truly a sight to behold! Situated in Miami, Vizcaya is open Wednesday through Monday from 9.30am until 4.30pm. If you are looking for stunning gardens, which are open 365 days a year, then you have to visit Bok Tower Gardens in Lake Wales. This National Historic Landmark is the perfect place for a romantic picnic, family adventures, or even a wedding ceremony! You can hike one of the many trails here, or just lay on the grass enjoying a good book. We think Bok Tower Gardens is one of the most serene areas of greenery in Florida, so make sure you check it out when you’re in the state. Naples Botanical Gardens highlights some of the best nature that South Florida has to offer, with a stunning lake in the middle of it. This is another garden that puts on a real show in the evening, during certain times of the year, so if you can make it to their ‘Night Lights’ then make sure you check it out. There are also plenty of trails to enjoy if you fancy a real trek through nature and the waterfalls here are seriously Instagram-worthy. One of our favorite parts about the Fairchild Tropical Botanic Garden is that you can enjoy a tram ride through the scenery, which makes it perfect for those with mobility problems. The ethos of the FTBG is to conserve and educate when it comes to tropical plants, so you will find plenty of fun and educational activities for all ages. You can visit this garden all year-round, other than Christmas day. 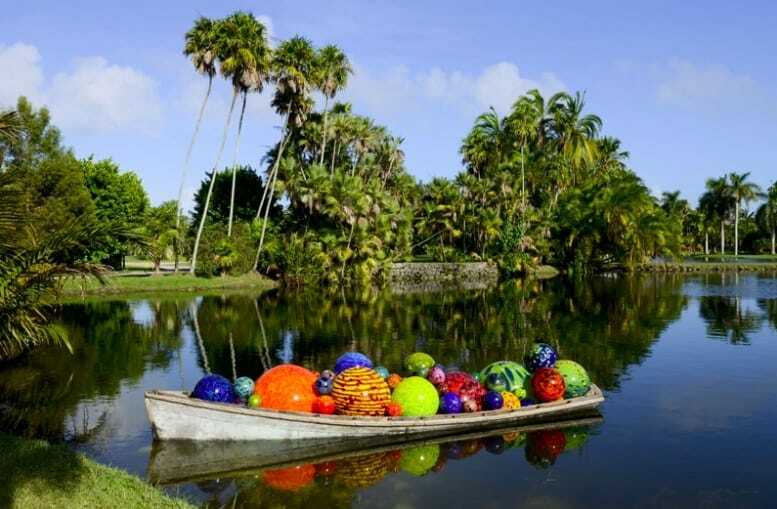 The Marie Selby Botanical Gardens are situated in Sarasota and are open 10 am until 5 pm every single day (other than Christmas day). You will find a ton of events and exhibitions at these gardens, including Warhol Nights, the Garden Music Series, and Andy’s Art Factory. This makes it the perfect place to take the children on school vacations or visit with friends. There are plenty of amazing gardens to visit in Florida, but we feel as though these are definitely some of the best. The next time you find yourself in the ‘Sunshine State,’ give the busy beaches a miss and head to these gardens instead. You definitely won’t regret it!